While most of the energy around Open Educational Resources is in higher education, affordable and open educational resources are important to K-12 educators as well. Curriki is a nonprofit global community that offers free K-12 learning resources for teachers, students, and parents. The resources on Curriki cover a wide range of subjects in the arts and sciences. 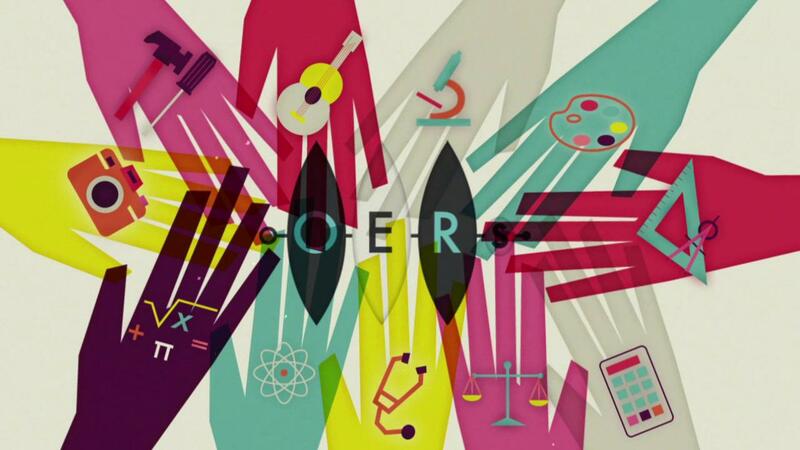 Curriki offers over 55,000 Open Educational Resources and its 400,000 members represent nearly 200 countries. 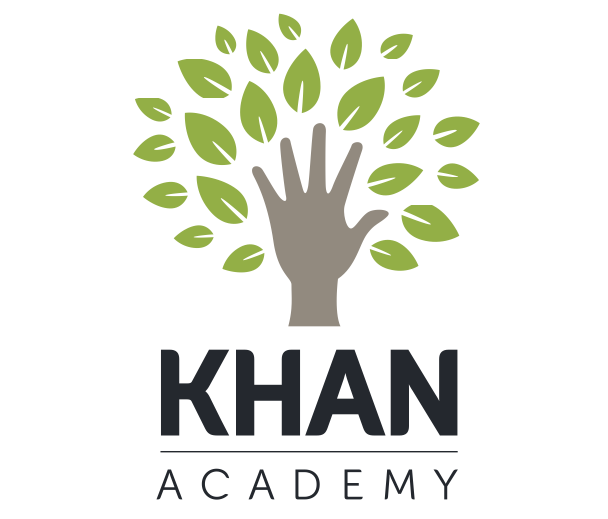 Not-for-profit Khan Academy is an organization dedicated to providing a “free world-class education for anyone anywhere.” Content includes interactive challenges, assessments, and video in an array of topics for kindergartners through adult learners. Create an account to practice standardized tests and keep statistics on assignments and coursework you’ve completed, noting your progress as you learn. The University Libraries is excited to report that the Student Government Senate has issued a resolution in support of open textbook adoption at Mason. This resolution encourages faculty to consider replacing expensive textbooks with open access materials and is a huge step on the path toward making college more affordable to Mason students. What is an open textbook? It is a freely available digital book to which the author(s) has assigned a license permitting others, such as instructors, to use and adapt the content to suit their specific course learning objectives. That is, instructors can download, modify, remix, and share the item at no cost to themselves, their students, or their colleagues. What do open textbooks offer students? Course material that is relevant, up to date, and varied in format, as well as accessible to all students as soon as a course begins. Concerns about the cost of pursuing a particular degree are diminished when textbook costs become immaterial. Not least of all, money that would have been spent on textbooks becomes available to help pay for rent, food, transportation, or even another course,. the ability to support students in a way that is deeply meaningful and purposeful, both inside and outside of the classroom. The University Libraries invites your queries, discussion, and concerns about open textbooks. We are available to help you find these textbooks and other openly licensed materials to work with and integrate into your course(s). We are also experts in subscription content that may be appropriate for your course needs. Please contact John Warren in the Mason Publishing Group about the open textbook initiative when curiosity overcomes you or you need assistance with existing open projects. As the expert in research materials specific to your discipline (both open and proprietary), your Subject Librarian is also available for consultation and assistance. How can you, as an educator, have increased control over your teaching materials, be more creative in the classroom, AND lower student costs? 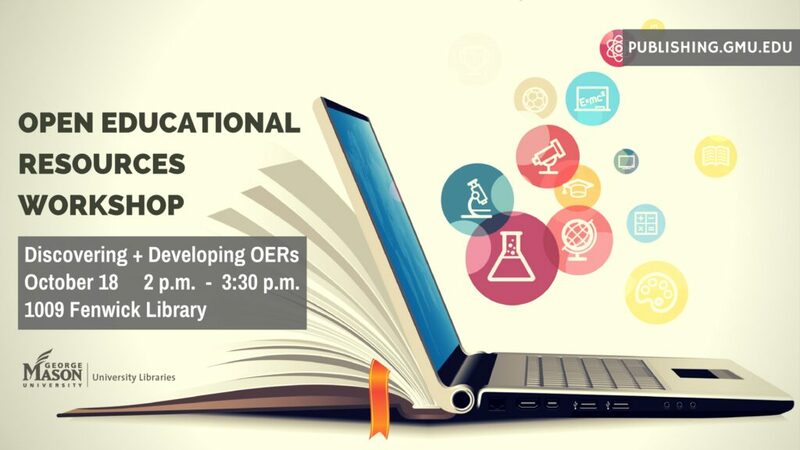 Use existing open educational resources (OER) or create your own materials! Mason 4-VA, in collaboration with the University Libraries and Mason Online, invites you to submit a proposal for innovative redesign of a course that integrates digital (and accessible) materials. That is, you supplant expensive textbooks either with digital works that you create, or with existing digital content that is in the public domain, licensed Creative Commons, or available in databases to which the University Libraries subscribes. To that end, you are reducing the cost of instruction to students and improving learning outcomes. This initiative is a Mason 4-VA pilot project. Any Mason full-time instructional faculty who teach high demand, heavily populated courses are eligible to apply, as are adjunct faculty who are part of a team proposal. Depending on the nature of the proposed project and the level of team collaboration, you may receive a competitive grant ranging from $1,500 to $5,000. Funds will be distributed in Summer 2016. The library is ready to support your use of OER content or answer your questions related to copyright and the Creative Commons licensing of your own materials. Mason Publishing Group, a department of the University Libraries, is available to aid faculty in developing OER textbooks or workbooks as a part of this pilot project. Let us know how we may help you! 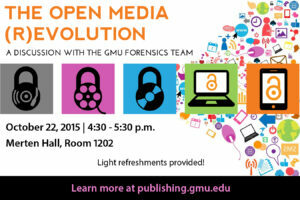 Contact your subject librarian or John Warren (jwarre13@gmu.edu), Head, Mason Publishing. Proposals due: March 18, 2016 EXTENDED to March 21, 2016!